Air compressors are normally known for being extremely loud, but the Makita MAC700 is surprisingly quiet and is one of the most popular air compressors available on the market. Like others, I like to tinker in my garage and this compressor seemed like a good replacement for an older model DeWalt that I had which was much noisier compared to the Makita. This compressor is not as light weight as some of the others. It’s just a little over 50 pounds, which makes it portable, but a bit heavier than the 35 pounders in this size range. It has hotdog tank, as opposed to the pancake tank style, which has a 2.6 gallon capacity. The extra weight is due to the tank being made of cast iron. It is truly built to last. The performance level is appropriate for most home users and professional contractors who don’t require a larger tank and more airflow. 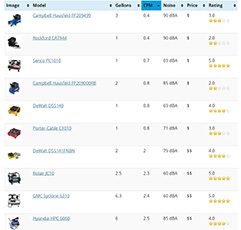 The 2.0 horsepower motor delivers 3.8 CFM at 40 PSI and 3.3 CFM at 90 PSI making it a powerhouse in its class. It runs on 12.4 amps and has an overload protector to protect the motor. It runs at a low RPM which keeps the decibels relatively low, at least 5 dBA less than typical compressors. 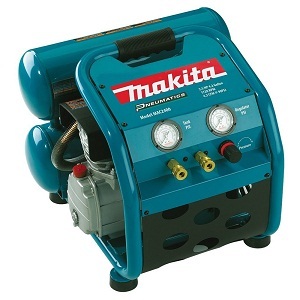 The Makita MAC700 big bore air compressor is quieter than average due to its low RPM motor and quality components. Most tests have this Makita register at about 80 decibels. This compressor is designed for indoor and outdoor use. Fantastic for the typical home user, yet not quite powerful enough for most professionals unless used as a secondary compressor, the MAC700 has a lot to offer. It’s perfect for finish nailers, inflating car tires, and various tasks in the garage. If you’ve used other compressors, you may be amazed how quiet this compressor is. There’s a reason why Makita is one of the most trusted names in air compressors and power tools. Even though there are a few things that could be improved with this model, the MAC700 is a solid compressor that combines quality and performance with a low price. 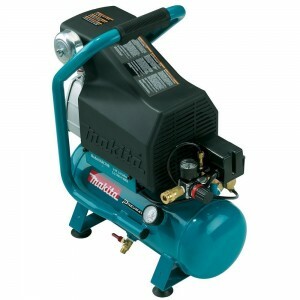 It is consistently a best seller anywhere air compressors are sold. 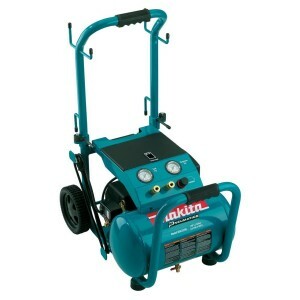 If you’re in need of a general all-purpose air compressor for around the house as well as some job sites, the Makita MAC700 is the one I’d recommend to my friends and relatives. For a more contractor-grade compressor of similar size, the DeWalt D55146 is a great alternative. Agree mostly with this review. This unit is extremely well designed and manufactured. But the tank is steel, not cast iron. Compressor itself is cast of course. The “cons” in some cases attempt to compare it to others which are simply not a fair comparison. You cannot have a unit last decades longer than a cheapie while running quieter and delivering more air while not being a bit heavier. Yes it does weigh a bit more, but the quality is well worth it. It is what it is- not a big high volume shop compressor nor is it a little Chinese made econo-junk destined to self destruct within 90 days. Which is to say, near perfect for a great many of us.